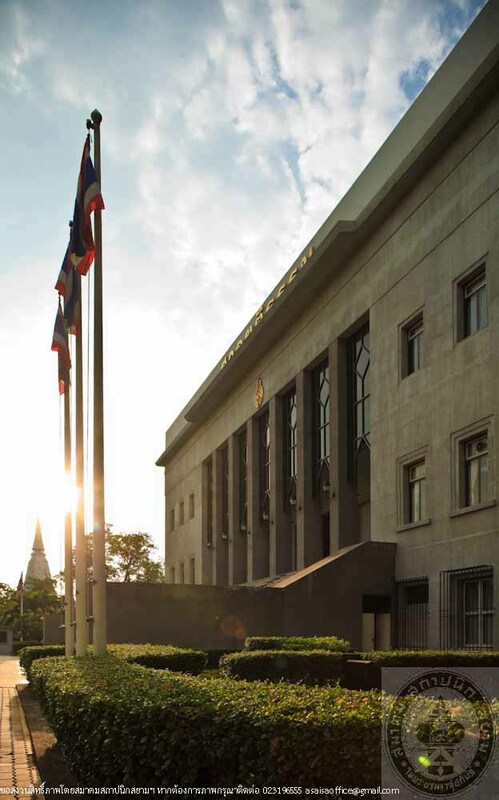 The complex of the Court of Justice was established in 1939 by Phra Sarocharattanimmaan (Saroch Sukkayang). Before drawing the plans, the government sent him to visit a court in Singapore and bring back architectural information. 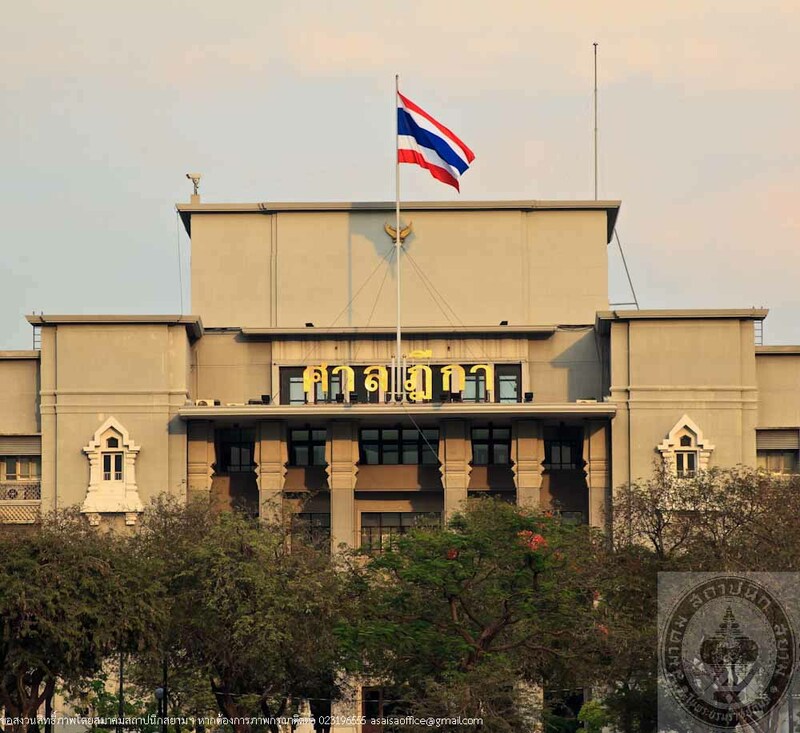 The opening ceremony of the Court of Justice was held in 1941 by Phra Ong Jao Atit Tiphaya Apa. The buildings are laid out in a “U” shape divided into three sections. 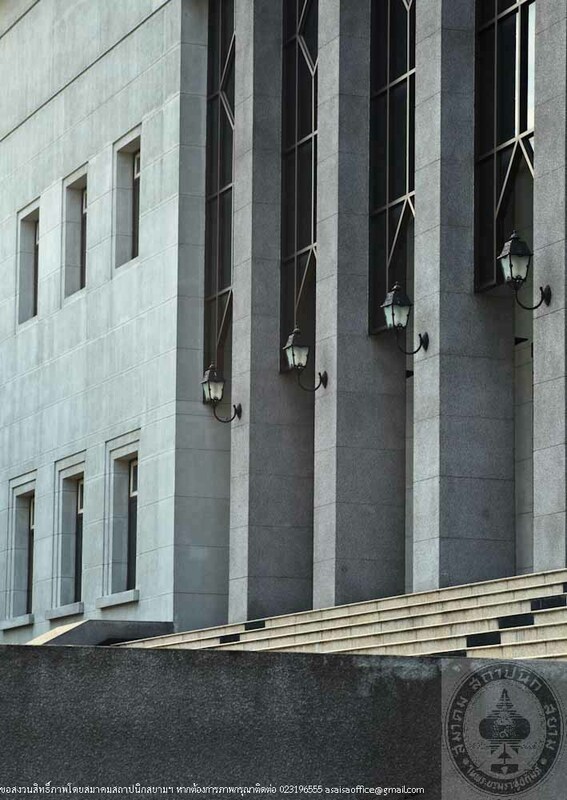 The first section was built in 1939 for the Court of Justice. The second section is the building nearby the “Ku Muang Doem Canal”, completed in 1943. This section is used as the Court of Appeals. The third section is the Supreme Court. 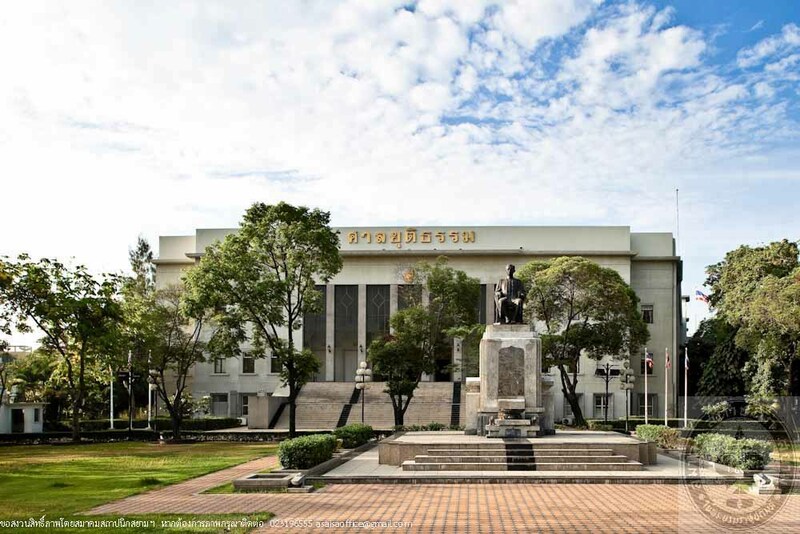 It sits on the site of a former Justice Court used during the reign of King Rama V that was demolished in 1959. 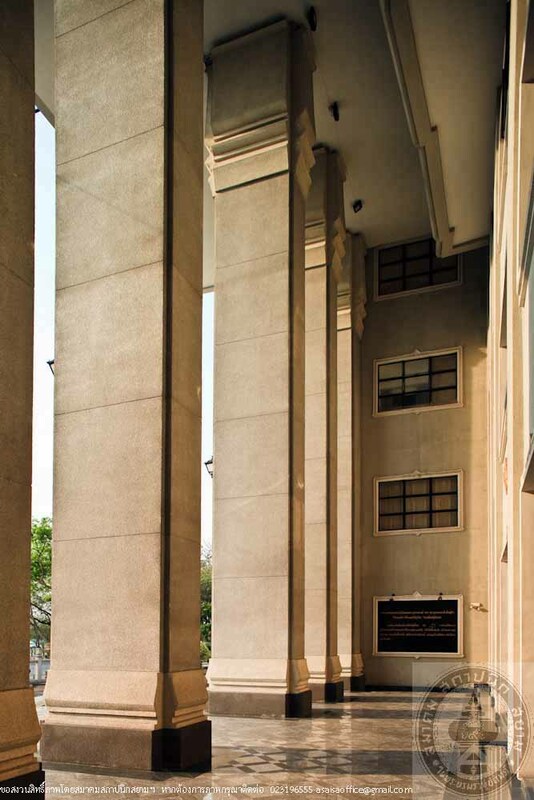 In 1963, a new building was erected and installed as the Supreme Court. 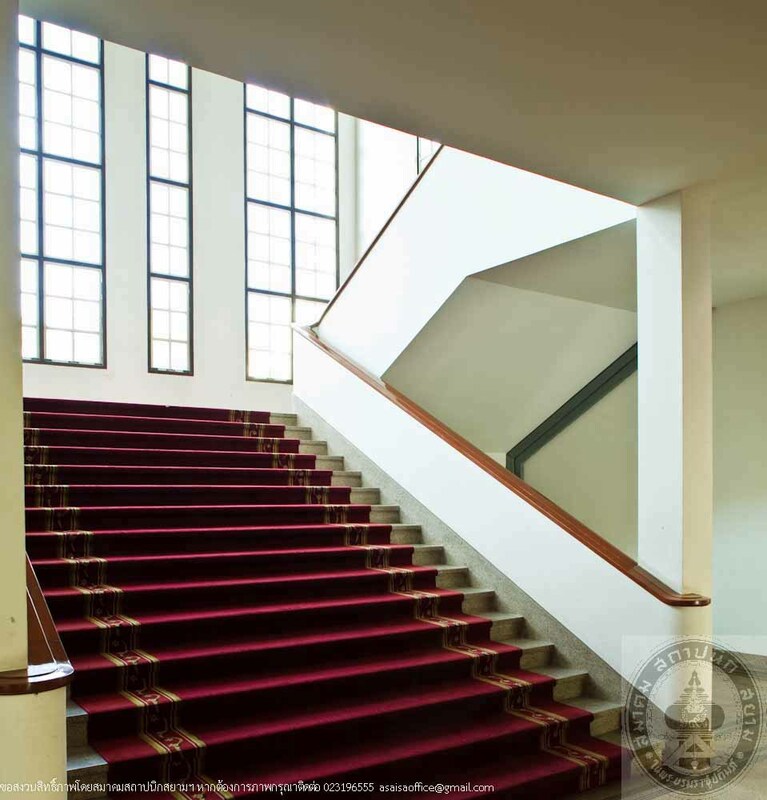 The architecture was influenced bymodernism, which was the main architectural trend of that period. 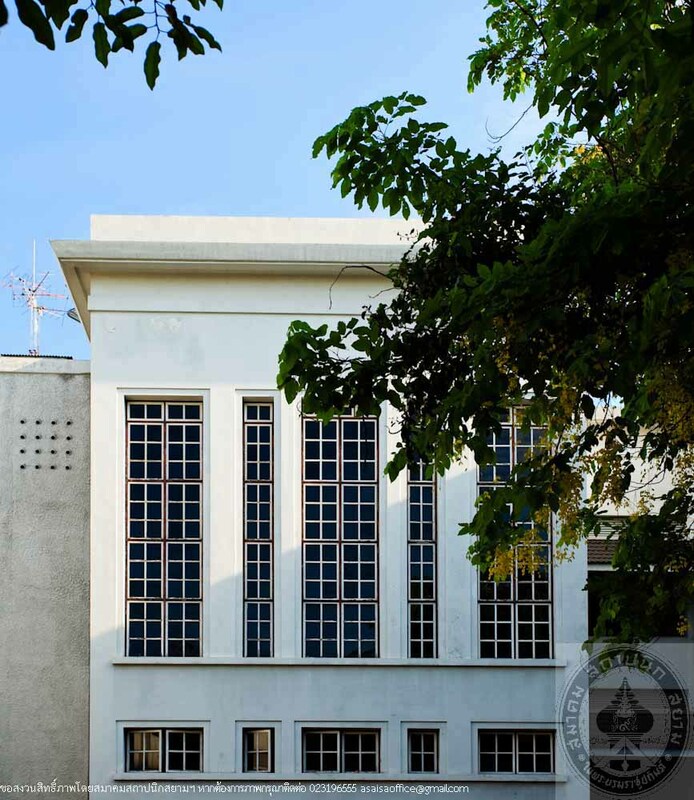 The concept of modernist architecture was well-known during the reign of King Rama V by groups of Thai students who studied in Europe. 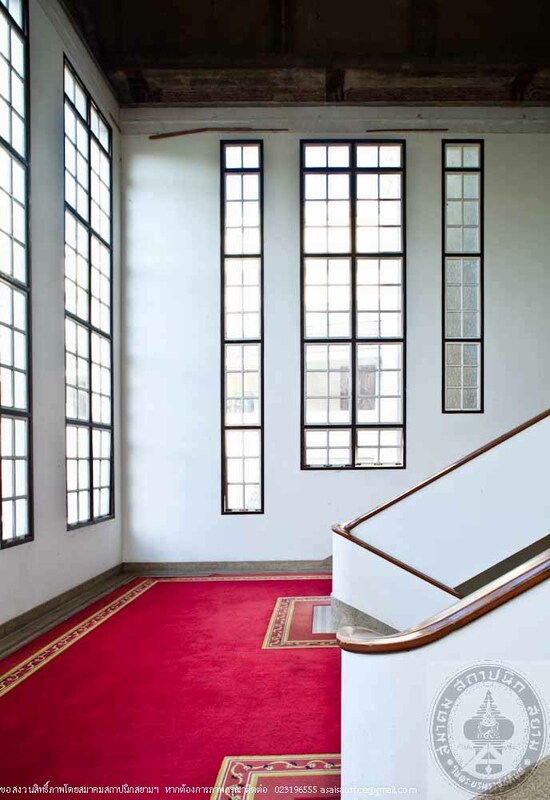 However, the popularity of this style didn’t become wide spread until after the revolution of 1932 where the modernist style can now be found in various important public buildings. This building holds the Justice Court and the Independence Memorial. 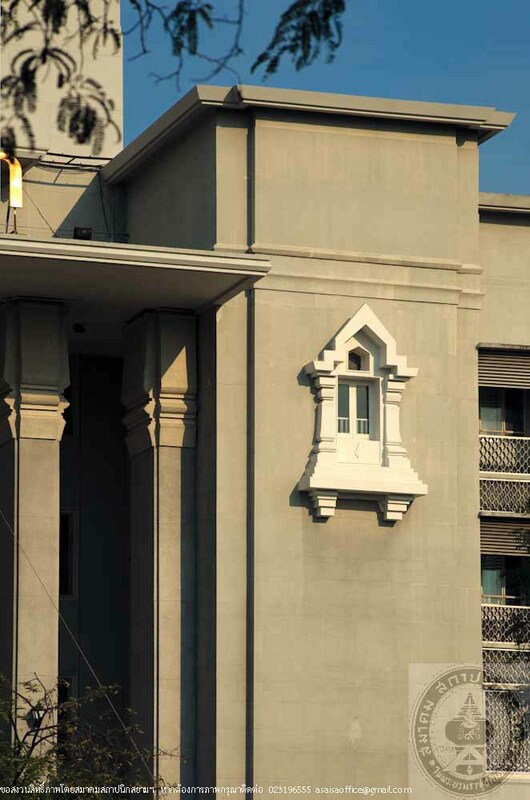 Its modern architectural style was popular in the period of the People’s Party, after the 1932 revolution. 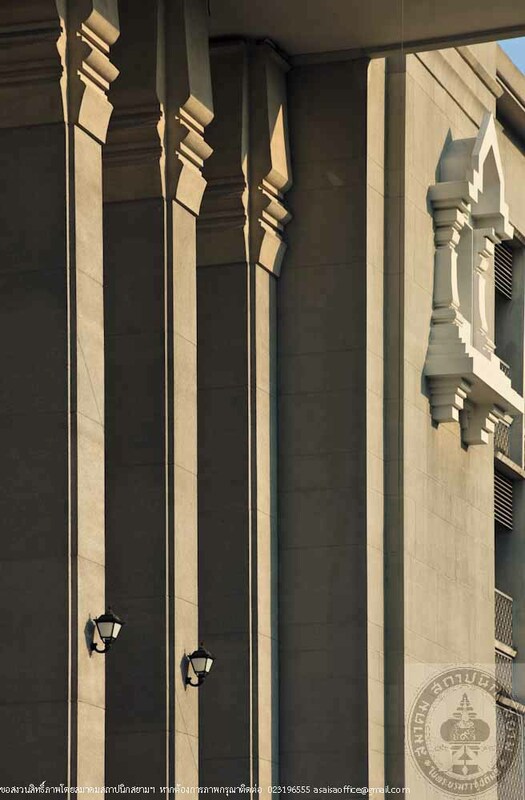 The entire construction is a valuable national architectural heritage site and the land it is built on has a long history as a justice court. 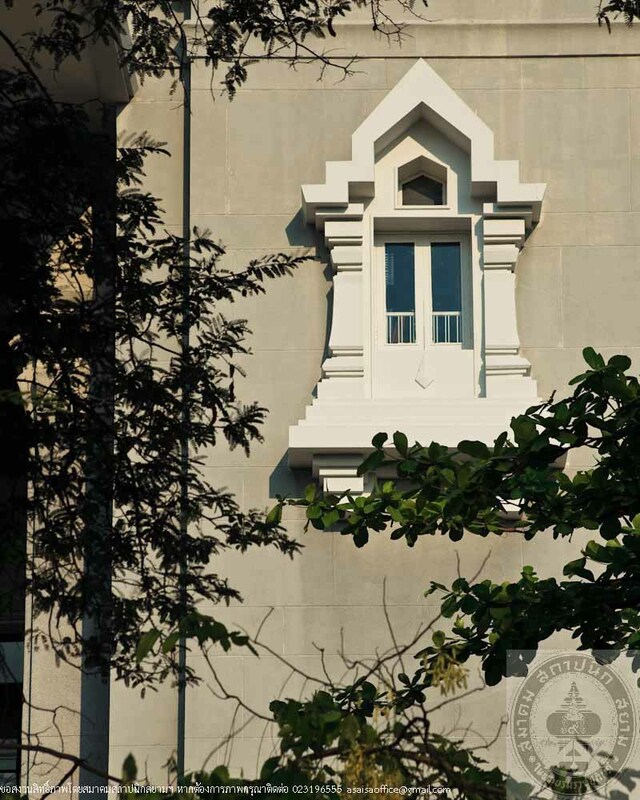 The building exposes the arts and architectural styles of the old period and represents a good source of knowledge on our national history, our society and political system. 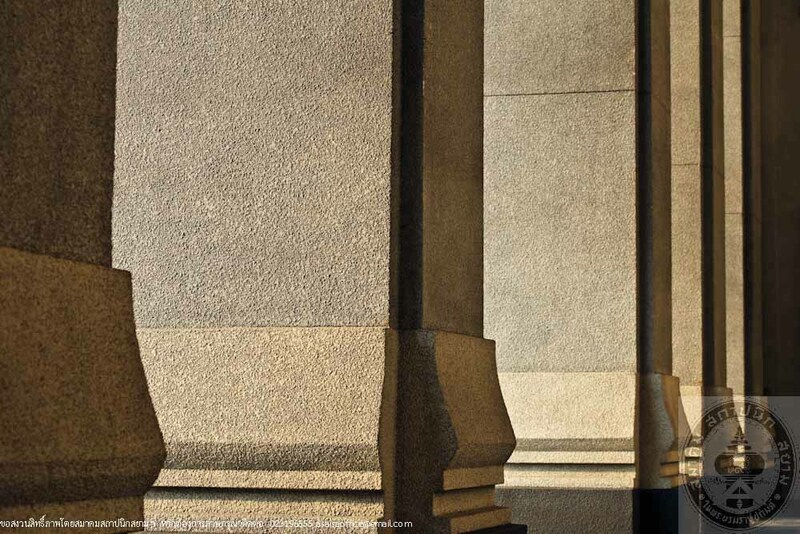 Thus, the buildings of the Justice Court and the Supreme Court are worthy of being preserved.